The Federal Communications Commission last week announced it’ll give Alaska’s smaller telecoms up to a billion dollars total to encourage them to bring fast, reliable internet access over the next 10 years to places in the state where it’s lacking, and badly needed. “We are targeting the funding to the remote areas, or the rural areas, of Alaska,” she said. 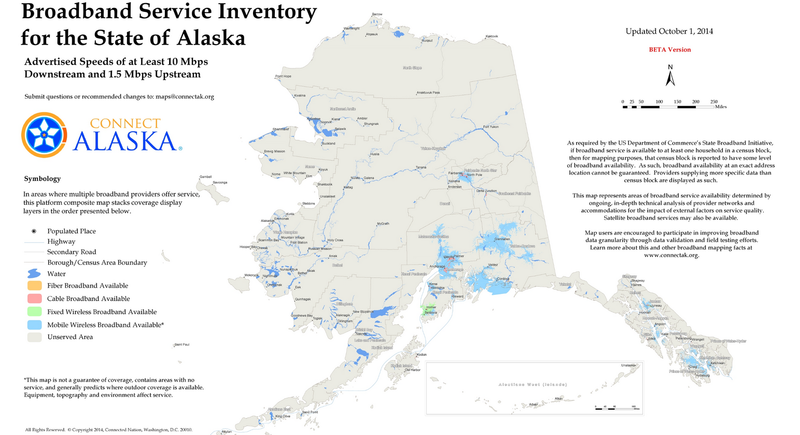 This October 2014 map by Connect Alaska, a consortium working to increase high-speed internet access around the state, shows some broadband and wireless availability around the state's urban areas, but very little elsewhere. Christine O’Connor is executive director of the industry trade group Alaska Telephone Association. She says in exchange for the funding, the FCC would require the telecoms to provide broadband-level speeds of at least 10 megabits per second for downloads and 1 mbps for uploads. The commission seeks to provide that level of service to 90 percent of rural Alaskans, an increase of about 50 percent. O’Connor says the plan also calls for improved wireless service. 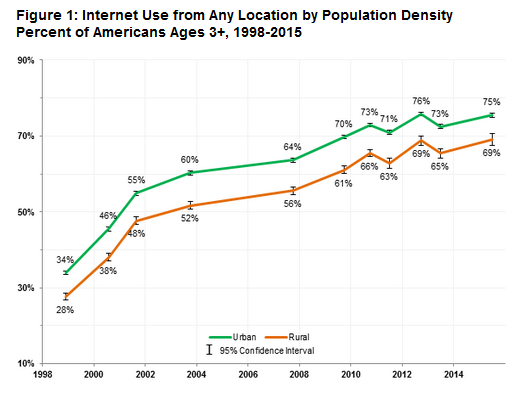 According to the National Telecommunications and Information Administration, the digital divide between rural and urban populations nationwide has remained consistent since NTIA began gathering data on Internet use in the 1990s. This chart shows the how the two populations have increasingly been using the internet from 1998 through 2015 and the persistent 6- to 9-percent gap between the two. Jens Laipenieks is operations director for Arctic Slope Telephone Association Cooperative, which provides telecommunications to about a thousand customers scattered around 90,000 square miles on the North Slope and western coast of Alaska. “Any broadband improvement there off the satellite is really life-changing for our market,” he said in an interview earlier this year. Laipenieks says bringing broadband to the Bush would help close the so-called “digital divide” that awards economic opportunity mainly to those who have access to a fast internet connection. Mike Garrett is CEO of Alaska Telephone Company, which provides service to communities around the Interior and Southeast Alaska. He says the company will expand its fiber-optic cable network. “We would be looking to put in fiber in various communities,” Garrett said. O’Connor says the the FCC’s so-called Alaska Plan allows the telecoms to come up with their own plans and schedules. 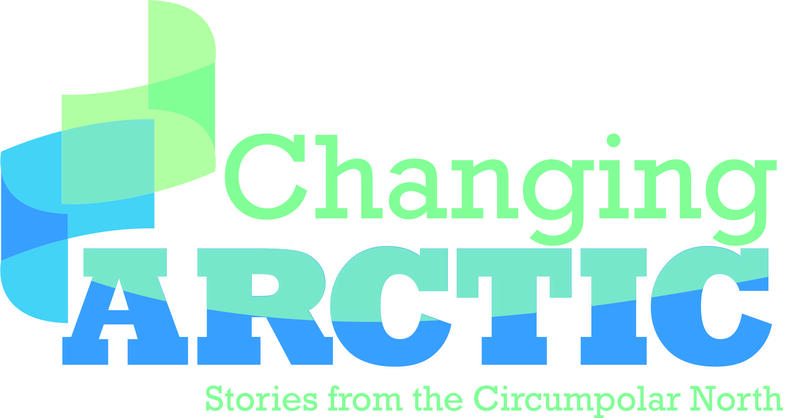 Editor's note: More information about the challenges of increasing Alaska's broadband availability is available through Connect Alaska's website. Information on federal efforts to address the digital divide and improve broadband availability nationwide can be found on the National Telecommunications and Information Agency's BroadbandUSA website. Alaska Communications announced a plan Thursday to reduce debt by selling its wireless assets to General Communications Incorporated, or GCI, for $300 million. As KUAC’s Tim Ellis reports, company officials say its wireless customers won’t see any changes until early next year.